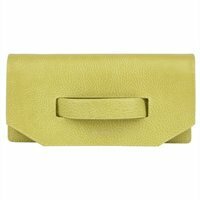 Matt & Nat(r) Abiko Clutch Bag.. Perfect for a Sunday stroll or a night out on the town, it&apos;s a classic complement to any ensemble. 100% recycled nylon lining. 10 x 5 x 2.5.